The 'City of Joy' opened its heart to the cricket world as a dazzling Bollywood-style opening ceremony kicked-off the sixth edition of the Indian Premier League in Kolkata on Tuesday night, American rapper Pitbull and superstar Shah Rukh Khan stealing the limelight. The city let its hair down with SRK, Katrina Kaif and Deepika Padukone grooving to the desi moves, leaving the healthy turn-out at the Salt Lake stadium enthralled. The 120,000 capacity football stadium transformed into a magical kaleidoscope of Rabindra Sangeet, Bollywood dance, songs. The 1 hour, 45 minutes extravaganza, which was high on entertainment, surely made the 60,000-plus turnout forget the controversial build up to the cash-rich T20 league. The opening though, at times, appeared to have fallen short of the standards Shah Rukh Khan had promised prior to the event. Divided into six segments, the evening began with Khan doing a poetic rendition of popular Rabindra Sangeet Aguner Paroshmani with the popular poetry 'Where the mind is without fear " being played in the background. As is the tournament's wont, the build-up to this edition, too, had been blighted by controversies, but the gala opening has has put to rest all apprehensions. 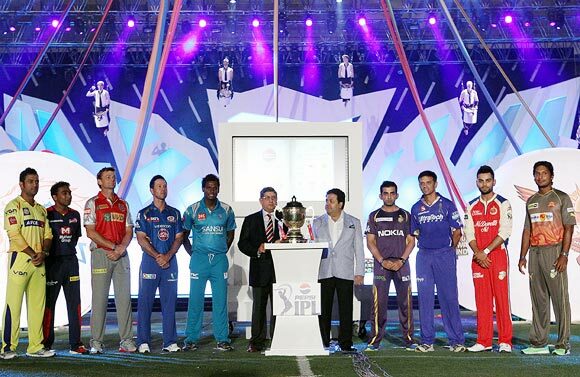 The 2013 leg formally opened with all the nine team captains taking the ICC Spirit of Cricket Pledge, 'Play hard, play fair'. 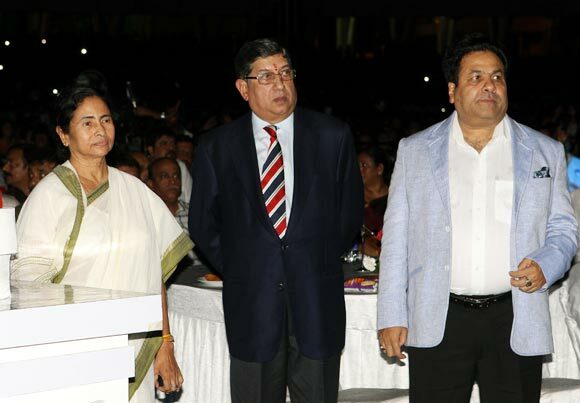 West Bengal chief minister Mamta Banerjee seen at the opening ceremony along with BCCI president N Srinvasan and IPL chairman Rajeev Shukla. 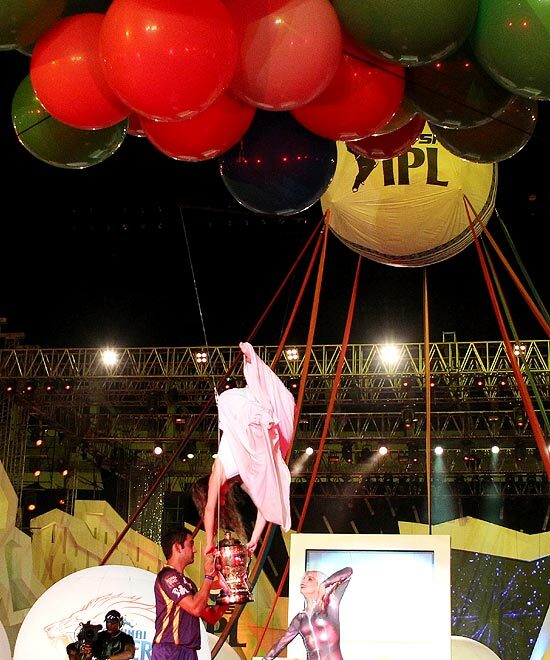 Gautam Gambhir receives the trophy during the IPL opening ceremony. Kolkata Knight Riders won the trophy last year, beating Chennai Super Kings by five wickets in the final. India's batting sensation Virat Kohli has been handed the extra responsibility of leading the Royal Challengers Bangalore this season as the Vijay Mallya owned franchises looks to win their first ever IPL title. Flying drummers, Chinese percussionists, fireworks were the some of the other attractions that were on offer for the event. 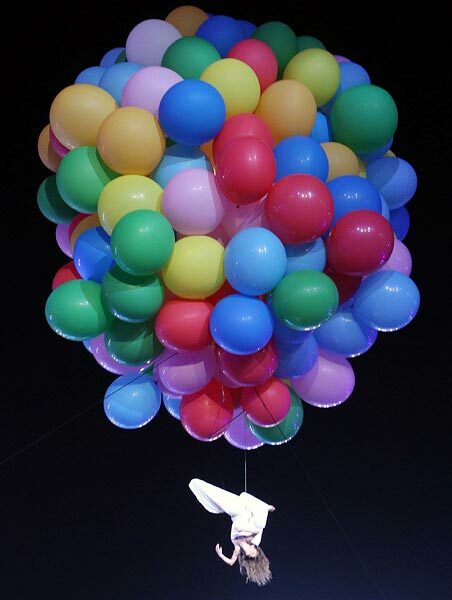 After that a collection of balloons rose slowly and smoothly into the hot air above to the sound of drums, music and the cheers of people, with a performer carrying the winner's trophy. Sri Lanka has three captains in the IPL with Mahela Jayawardene, Kumar Sangakkara and Angelo Mathews leading Delhi Daredevils, Sunrisers Hyderabad and Pune Warriors respectively. Mahendra Singh Dhoni will be looking to win his third IPL as the captain of Chennai Super Kings, while Ricky Ponting will be looking to win the first ever title for Mumbai Indians.